The Headdies® 3D Printed DabVac™ made its appearance at the Champs Tradeshow 2017 in Las Vegas and is now available for you and as always, the 3D Printed DabVac™ is designed and 3D printed right here in the USA. The Headdies® 3D Printed DabVac™ works by placing your E-Liquid, oils, concentrates or even herbal extracts into the borosilicate dish. 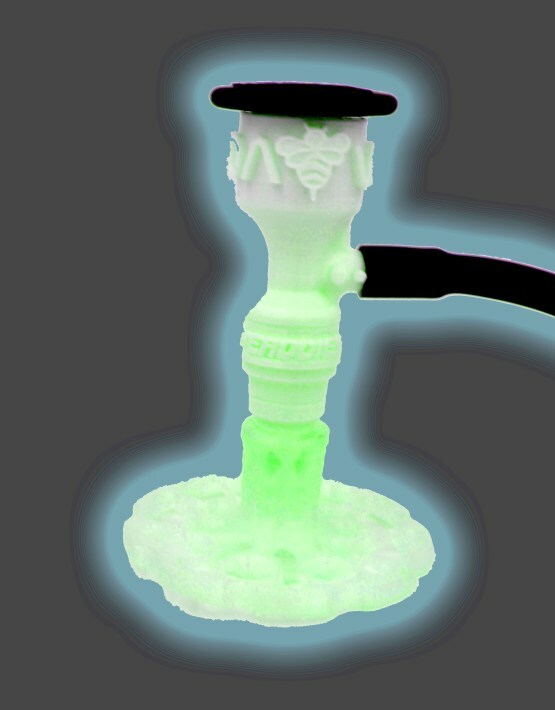 You then use a torch to heat the tip of the Headdies® quartz wand until properly heated. Last, place the tip of your quartz wand into the borosilicate dish and inhale as the vapor or smoke travels through the surgical grade latex tube, into your water-pipe and delivers it to your lungs. Here at Headdies®, our goal is to continue to solidify and extend our brand and customer base in the 3-D Printed World, therefore we’ve given powerful, yet careful thoughts towards our projects for you to have an innovative and cost-efficient experience. Take a look into the 3D Printing World and experience our exploded view of the Headdies® 3D printed DabVac™ for yourself!